Announcing our next apparel drop, something I’ve been waiting to do for a while now, we’re finally releasing beanies. 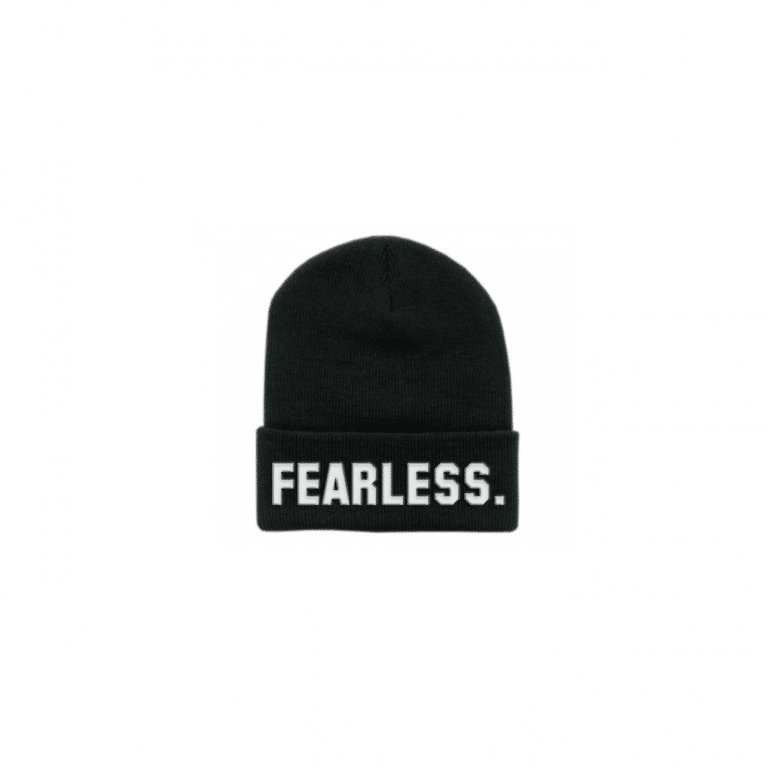 Fearless beanies to be exact. Much like our black FEARLESS. college print tee’s, these will be black, cuffed beanies with FEARLESS. puffy embroidered across the front; one size fits most. We’re taking preorders right now directly from our online store for $14.99 and all online preorders will come with a 30% off coupon code! You can also preorder from our Facebook or Instagram accounts by commenting your name and size. Those will come with free shipping. We’ll be taking preorders for the next couple of weeks, so get yours in before we run out!